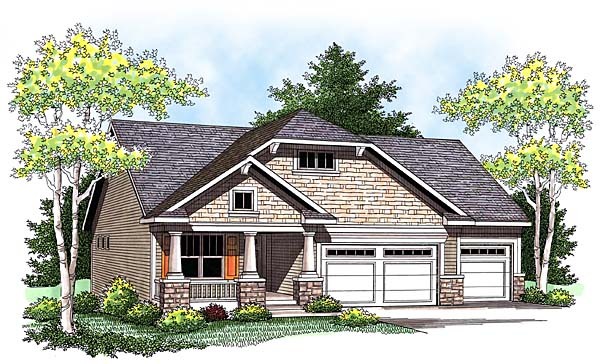 This charming craftsman-style home incorporates stone, shingle siding and massive porch columns to create a timeless look. An open floor plan creates a spacious living area that combines the kitchen, great room and dining areas making the home feel larger than its 1752 square feet. A corner fireplace and large windows makes the great room spacious and cozy at the same time. 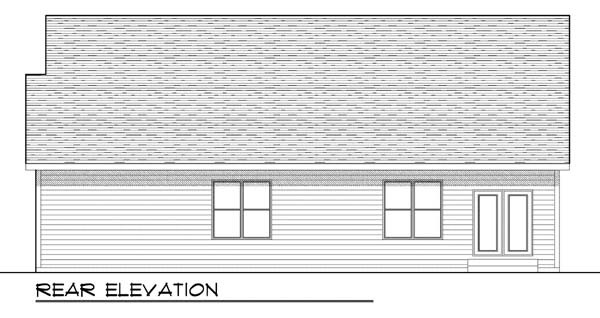 The bedroom wing is located behind the three-car garage and includes a master suite with spacious walk-in closet, and a second bedroom and full bath. A third guest bedroom that can double as a private den is located just off the entry to your left. 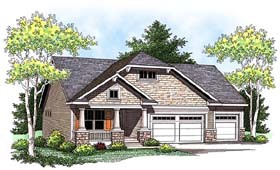 A three-car garage with extra storage completes the home making it suitable to just about any size of family.